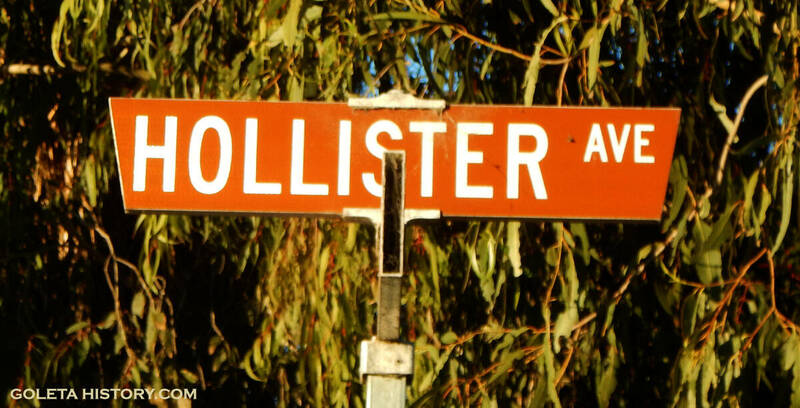 Hollister Avenue. It’s Goleta’s main street and we drive on it everyday. 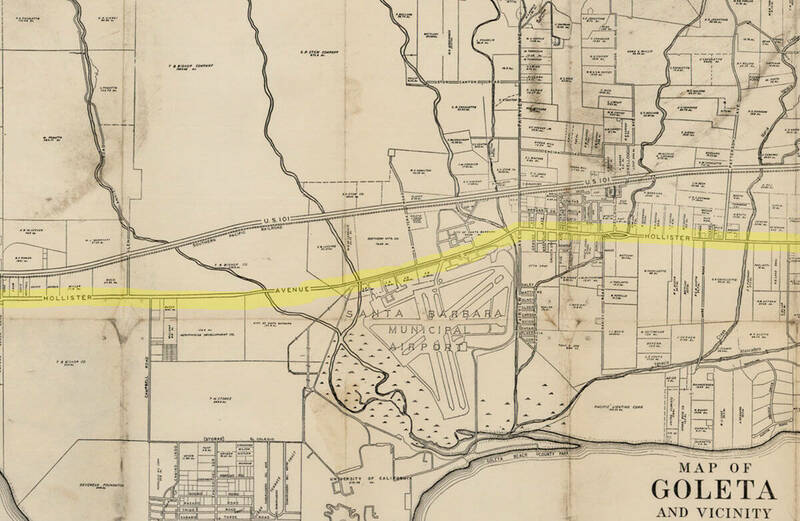 It runs all the way through Goleta, from Haskells Beach until it turns into State Street just east of Modoc Road. But who was Hollister? And why is this main thoroughfare named after him? If anybody deserves to have a street named after him, it would be this guy. Colonel William Welles Hollister was an over achiever extraordinaire. 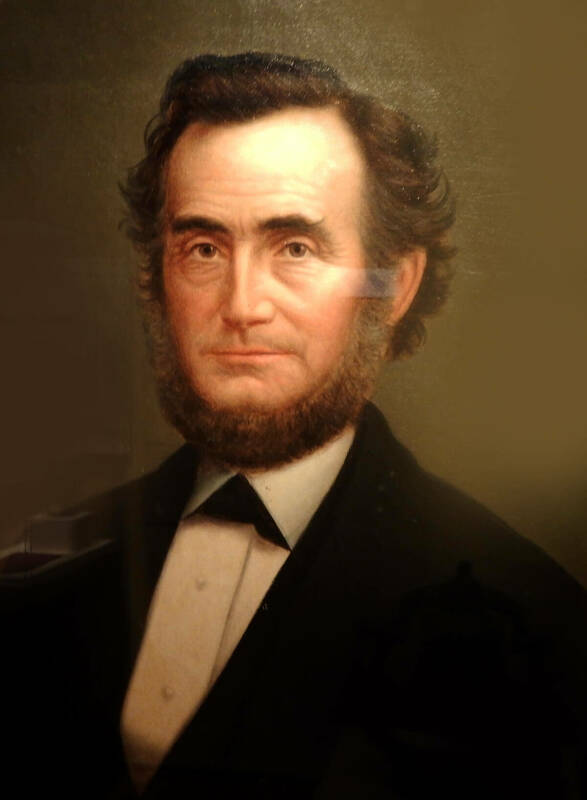 His story is remarkable and his contributions to Goleta and Santa Barbara are too many to mention on this website, but we’ll cover some of the highlights…..
Young William Hollister was born in 1818 and was raised on his family’s farm in Hanover, Ohio. He inherited his father’s nickname, Colonel, even though he was never in the military. 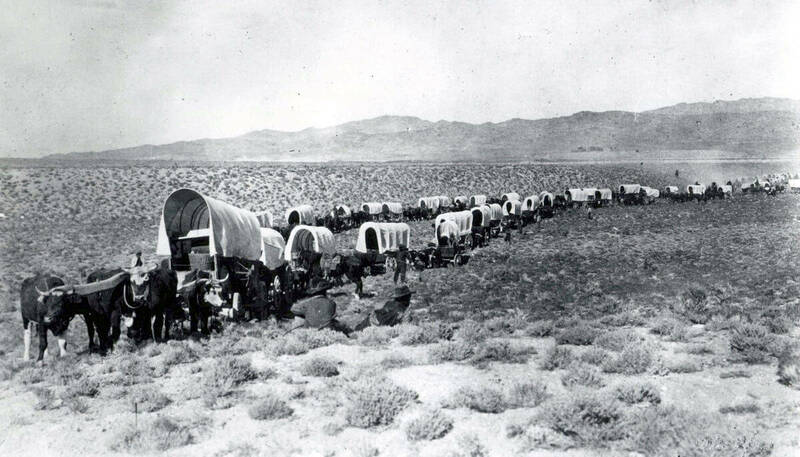 Hollister first came west on a wagon train full of gold seekers in 1852. He was a sickly young man, so the main reason for the journey was to get healthy in the pleasant California climate. On his first visit, he recognized an opportunity more glimmering than gold. California was flooded with hungry men, and would pay top dollar for meat of any kind. 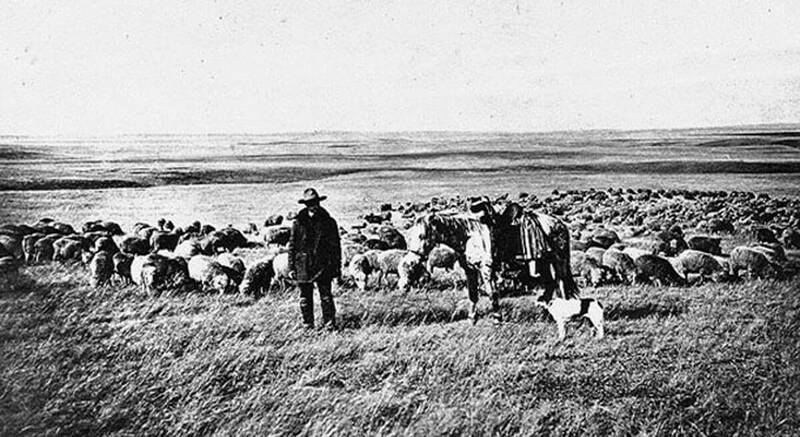 The enterprising young Hollister returned to Ohio, borrowed money from his sister Lucy “Auntie” Brown, and bought about 6,000 sheep to feed the California miners. The journey west was a 15 month adventure that involved drought, blizzards, Indian attacks, poisoned water holes, prairie fires, and disgruntled helpers. To avoid the winter snows of the Sierra Nevada, they took a southern route through the deserts of Arizona. When they finally crossed the California state line his flock was down to 1,000 half dead sheep. His final destination was Monterey, but he decided to let his flock rest and wait out the winter in the mild climate of the Goleta Valley. Colonel Hollister leased grazing land in the Tecolotito Canyon from Nicolas Den and he quickly fell in love with the canyon. He swore that he would retire in this canyon one day, and he kept that promise, but it took over 10 years to accomplish. In order to achieve his goal, he went back to his widowed sister , Auntie, and got another loan. This time he bought a ranch in San Benito County with some partners, and created the San Justo Ranch. It became a thriving sheep business and the partners prospered. By 1862, Hollister had a mid-life realization that he should start a family. The successful 45 year old bachelor married 21 year old Annie James from San Francisco and he built her a beautiful mansion on his sheep ranch. It was around this time that he was very active in lobbying for passage of fencing laws that forever changed the history of California. 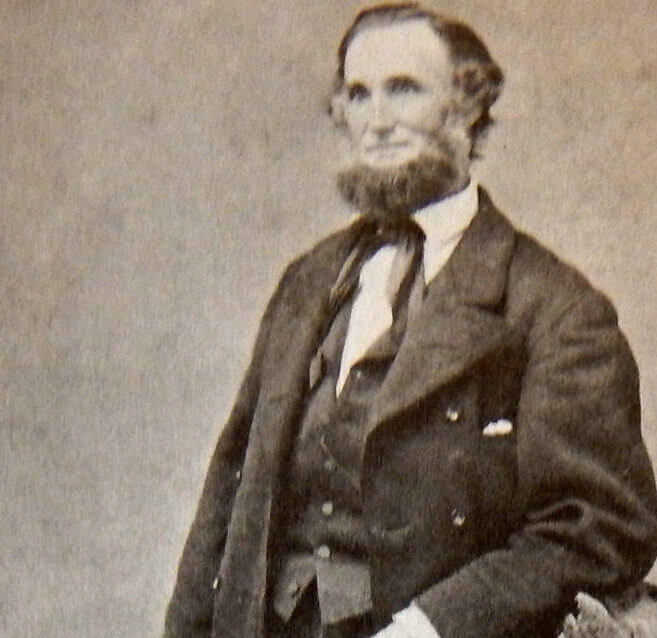 Hollister was an advocate of trespass laws that forced the big cattle ranchers to fence their herds in, protecting small farmer’s property, and making California an agricultural state. When the Civil War started, the price of wool skyrocketed, and the Colonel became a millionaire. He took the business savvy Dibblee brothers as partners and began buying large chunks of real estate in Santa Barbara County. Due to the Great Drought of 1864, cattle ranchers were desperate to get rid of their land at very low prices, and the Hollister/Dibblee partnership bought over 100,000 acres. They owned all the land grants around Point Concepcion, the Ortega family’s Refugio Grant, the La Purisima Mission lands and the San Julian Ranch. By 1868, he felt he was ready to make the move. 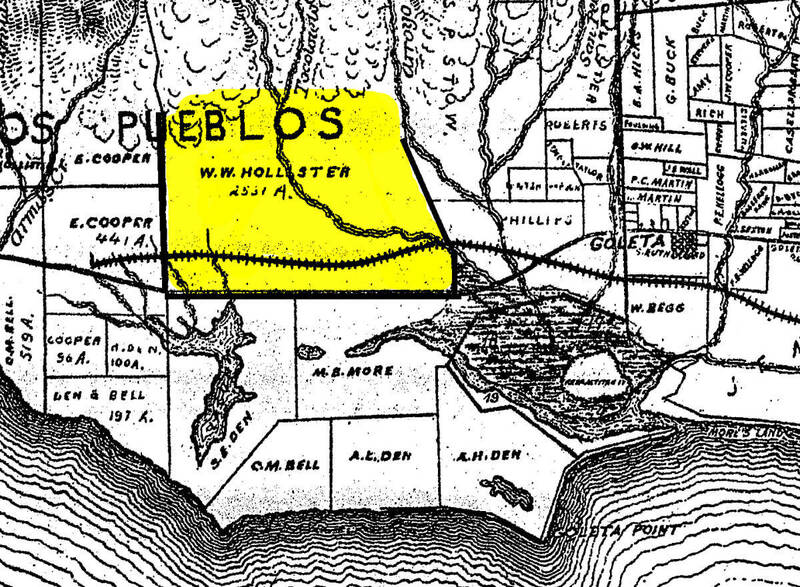 He subdivided his San Justo Ranch, creating what would become the city of Hollister, and sold it off for nearly half a million dollars. The Colonel came back down to the Goleta Valley to finally buy the canyon of his dreams. Upon his arrival he learned that Nicolas Den, the owner of Tecolotito Canyon, had passed away. Den’s will stated no property could be sold until the youngest of his children was of age, and that wouldn’t be for another ten years! This man, Charles Huse, was the Den family lawyer, and he assured Hollister this “flaw” in the will was nothing to worry about. The Colonel offered them far more than market price, and the cash poor Den family agreed to the deal. 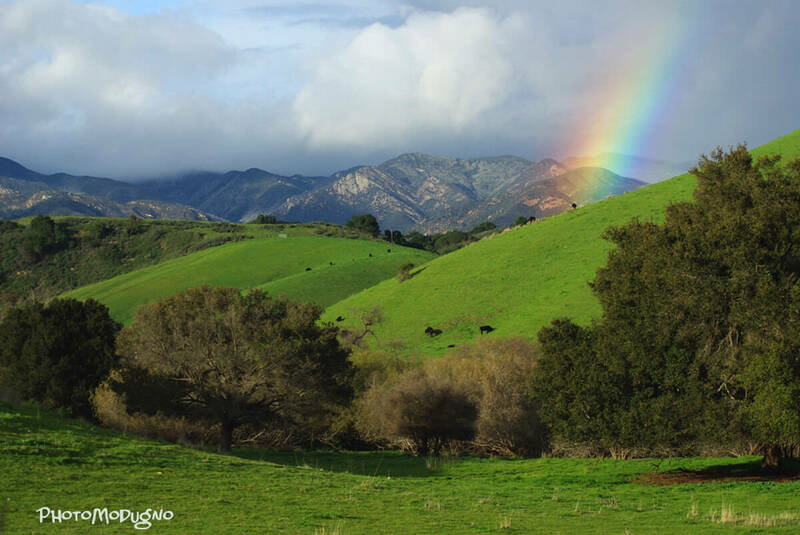 Huse facilitated the sale of the 5,000 acres of prime Goleta Valley real estate surrounding Tecolotito Canyon. Despite warnings of the clouded title from his advisors, the Colonel was in love with the canyon. He made the purchase and his dream had come true. Hollister named his ranch Glenn Annie, in honor of his loving wife, and he went right to work transforming it into an agricultural showplace. To temporarily house his wife and kids, the Colonel bought a city block in Santa Barbara that included the former home of musician Jose Lobero. He and his family lived comfortably in the spacious adobe at Carrillo and Chapala Streets while the Glenn Annie mansion was being built. Being a highly motivated individual, Hollister quickly got involved in the “Americanization” of sleepy Santa Barbara. His contributions to the city were many, and his efforts changed Santa Barbara forever. With partners, he built the Santa Barbara College at State and Anapamu Streets, a boarding school for kindergarten through high school. When it failed a few years later, Hollister turned it into a hotel and called it the Ellwood. 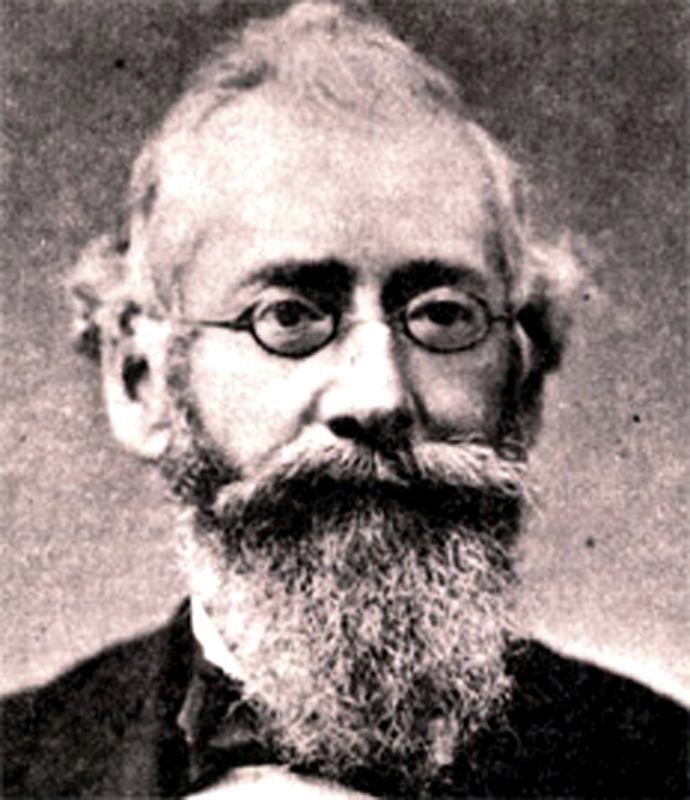 He loaned money to John Stearns to build a wharf, and he was instrumental in the construction of the 90 room luxury hotel called the Arlington House, that he ended up owning. 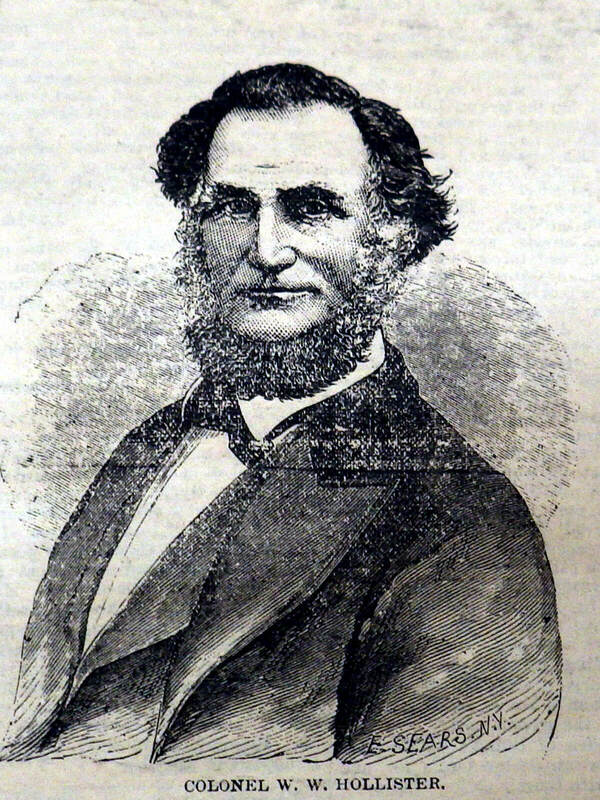 He and the Dibblee brothers built a pier at Gaviota that gave Santa Ynez Valley ranchers a much needed commercial port. 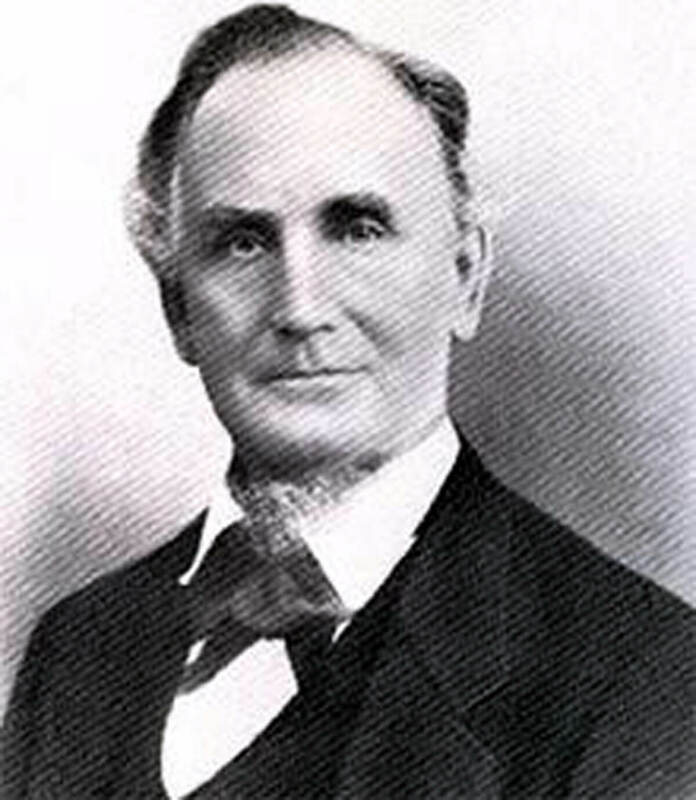 Hollister bought the local newspaper, he donated 500 books to start the first free library in Santa Barbara, he built the first steam laundry in town, he financed Jose Lobero’s opera house, and he became President of the First National Gold Bank! 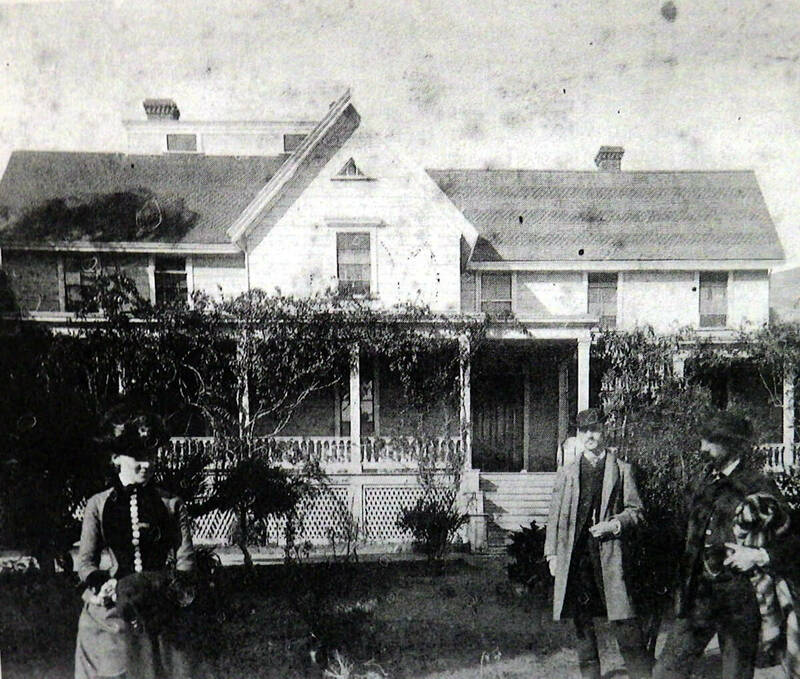 W.W. Hollister was quite particular about who stayed in his exclusive Arlington Hotel. He had been known to greet incoming tourists at the wharf and decide if they should stay at the exclusive Arlington, or down the street at his more affordable Ellwood Hotel. He was also earning a reputation as a notorious womanizer, with reports of numerous affairs going public. Hollister put Annie’s father, Sam James, in charge of the construction of his mansion, and he didn’t conform to the California ranch style at all. Instead, it was built in the style of an Ohio manor house, with multiple levels and a steep pitched roof. 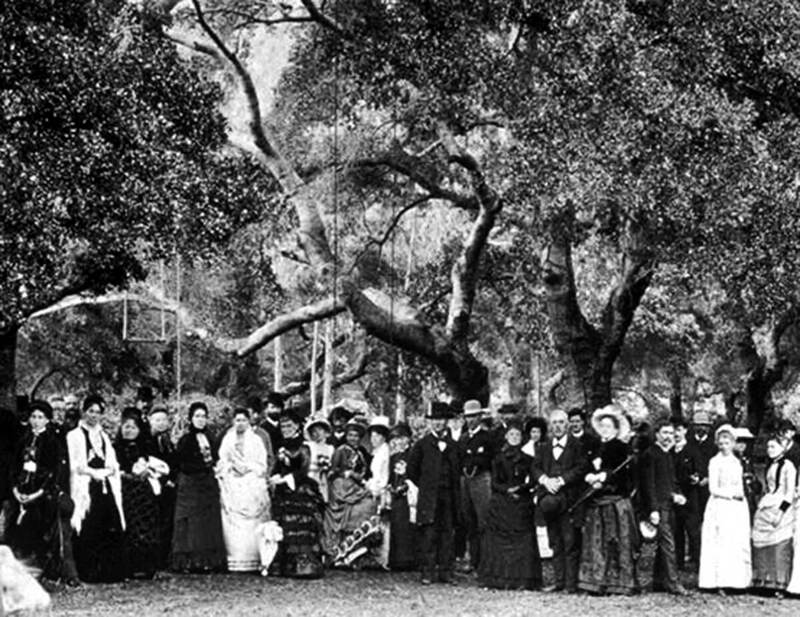 Decent workers were hard to find in sleepy Santa Barbara, so the Colonel recruited eager Chinese laborers from San Francisco to speed up the construction of his home and other ranch buildings. This was the beginning of an amicable, lifelong relationship between Hollister and the Chinese community. 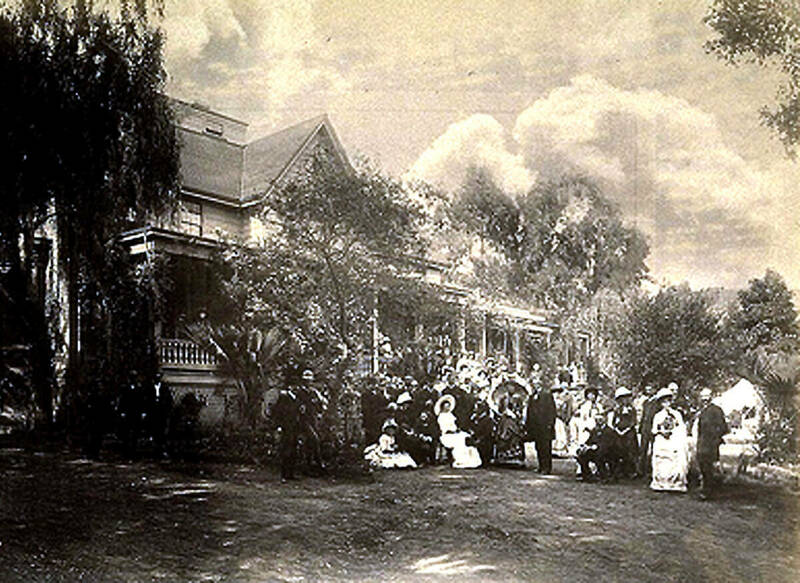 Once his Glenn Annie home was completed, it became a popular tourist attraction for Santa Barbara’s visitors. 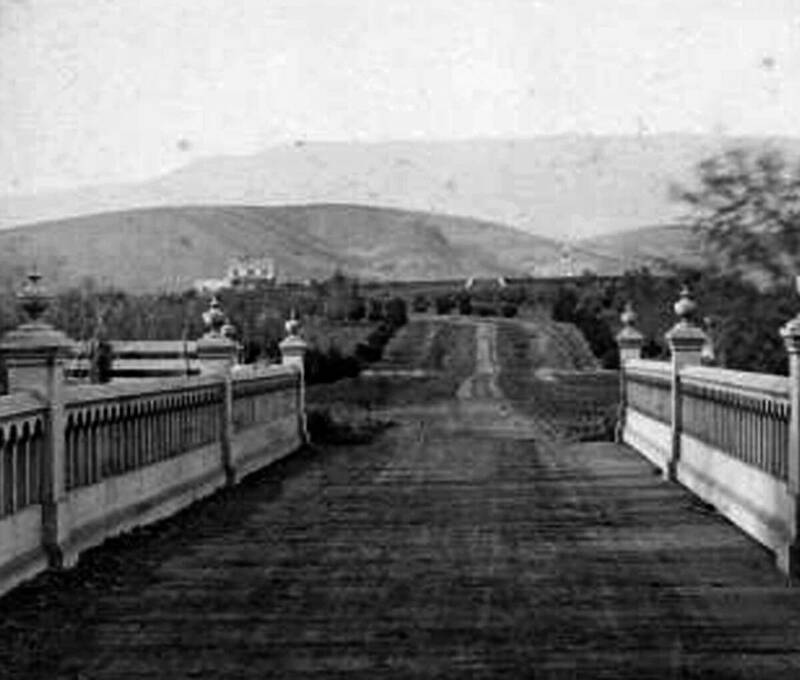 It was located on a knoll on what is now called Bishop Ranch. 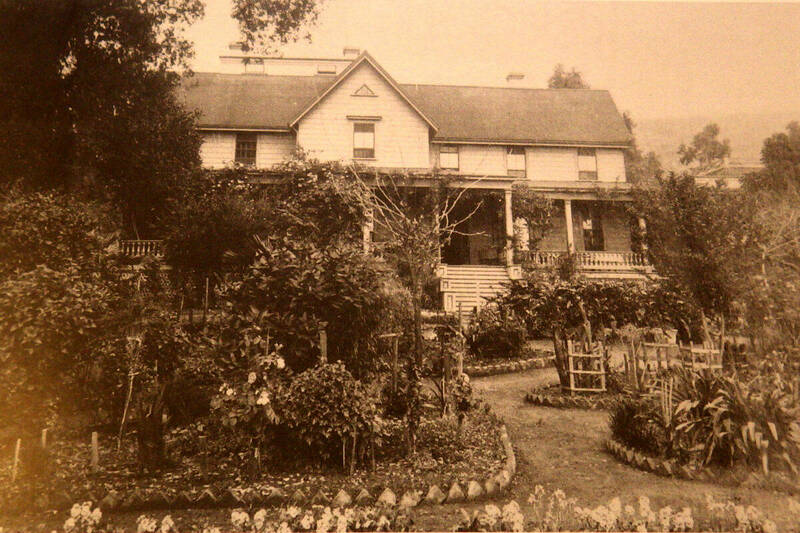 Hollister surrounded the entire six mile perimeter of his property with the first fencing in the Goleta Valley. 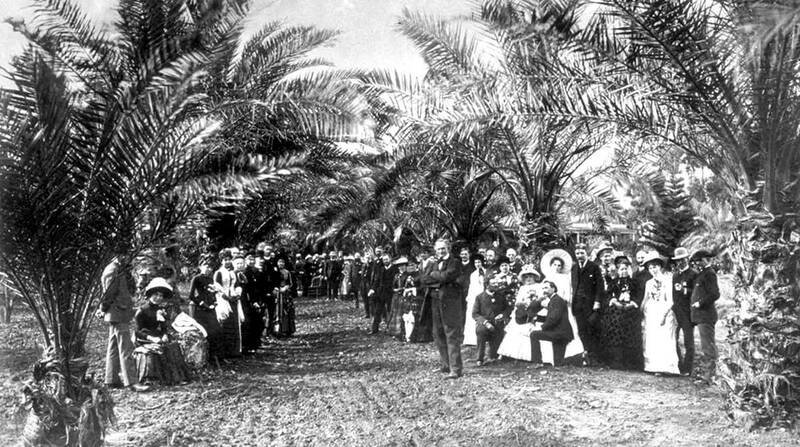 Horticulture was his passion, and the Colonel experimented with a variety of crops including bananas, coffee, citrus, date palms, tea, walnuts, and he planted the largest almond orchard in the United States. Glen Annie featured beautiful, exotic and well manicured gardens. 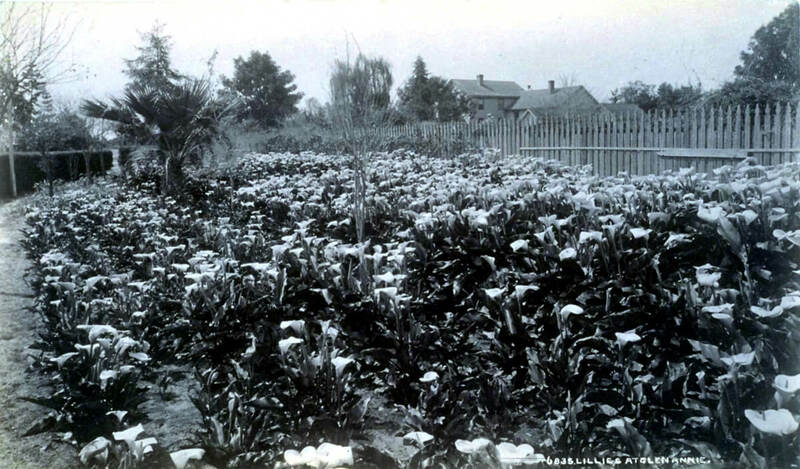 The fertile soil of Goleta accommodated plants from all around the globe and many rare trees were imported, making it the horticultural showplace Hollister had always dreamed of. Colonel Hollister was very proud of his estate and he held many elite social events and lavish picnics at Glenn Annie over the years. His grand parties were legendary social events to see and be seen at, and live music was often provided by Jose Lobero’s orchestra. To add to the grandeur of Glenn Annie, Hollister installed an elegant white archway that welcomed the wagonloads of guests in style. It featured an automatic opening device, that could be activated without getting off your carriage or horse. This historic gate has been saved and is still in existence today. 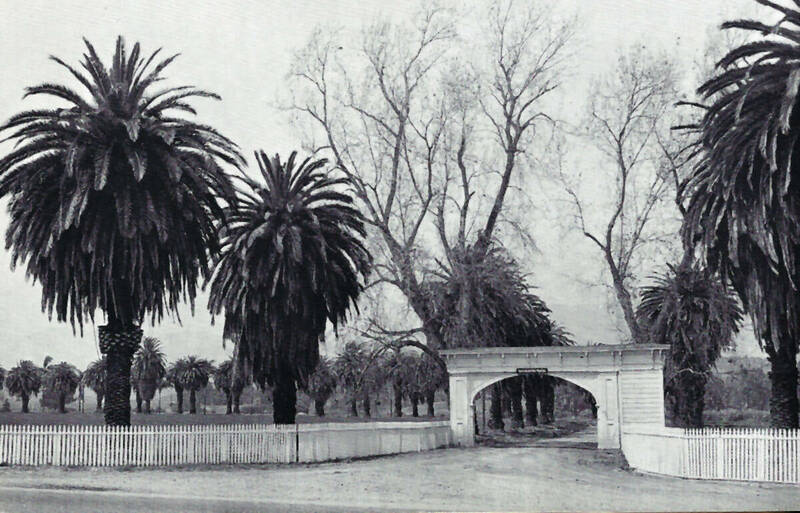 The beautifully landscaped “Avenue of Palms” led to the mansion on the hill, with a commanding view of the Goleta Valley and the Pacific Ocean beyond. A very dramatic entrance to Glenn Annie that surely left an impression on his guests. This photo from 1961 shows the grand entrance road and also the tress lining Hollister Avenue. Another view of the entrance road from 1961. Glenn Annie and the surrounding environs, along with the mild Goleta climate, left a lasting impression on all who visited. The Colonel was enthusiastic about his new homeland and he invited many of his talented friends to come live in the Goleta Valley. When the canyon to the west of his became available, he convinced his fellow horticulture enthusiast Ellwood Cooper to buy it. 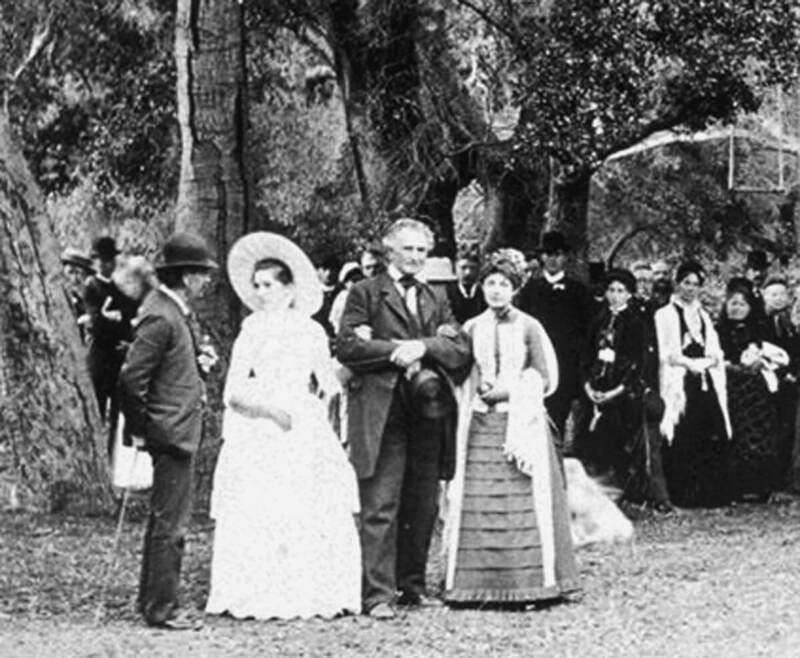 Ellwood made the purchase and his contributions to Goleta history are plentiful. When the next canyon to the west came available, he convinced his private physician, Dr. R.F. Winchester, to buy it. The doctor soon tired of country living however, and he moved into the Colonel’s adobe in Santa Barbara. The canyon still carries the Winchester name today. At this point, W.W. Hollister was living the dream and he was the toast of the town. He had fulfilled all his dreams, and more. But the 1870’s would bring a series of unfortunate events his way…. Trouble was brewing on the home front. 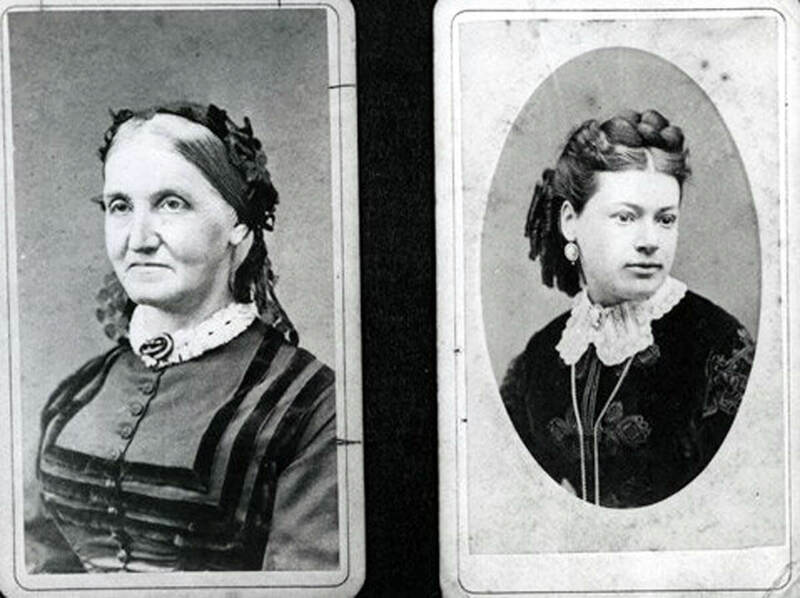 His dear sister and business partner Auntie Lucy, on the left, could not get along with his lovely young wife Annie, on the right. Auntie had never liked Annie, in fact she refused to go to their wedding, so they didn’t get along from day one. The feuding got so bad that they could no longer live under the same roof. Hollister could not stand to have the two most important women in his life feuding, so he decided on an extreme remedy. His solution was to build a second, and of course equally extravagant home further up the canyon for his wife. 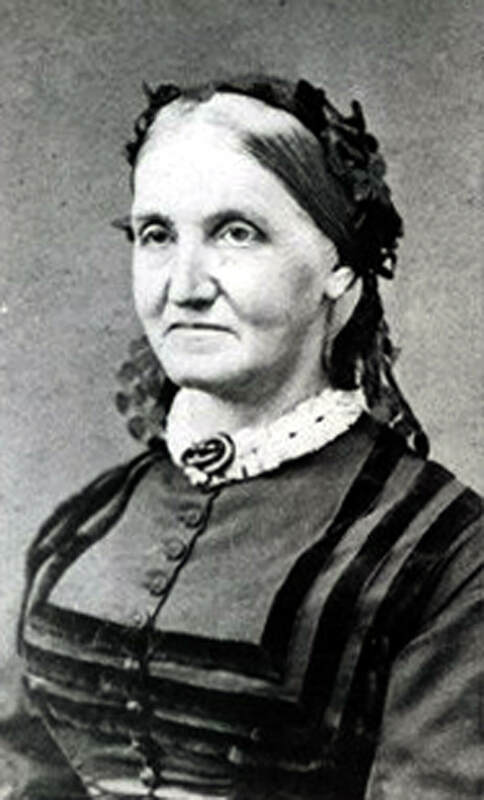 This solved the quarreling problem, but Annie was becoming aware of the Colonel’s numerous affairs and was turning more and more to liquor to cure her woes. In 1876, word got out that one of Hollister’s lovers had become pregnant, a scandalous event that was the talk of the town. The young woman’s husband sent her to her to live with her parents in Berkeley and she gave birth to a daughter. The Colonel admitted he was the father, and he paid child support for years. Around the same time, Kate Den Bell filed a lawsuit against Hollister. She was the oldest child of Nicolas Den, and she knew that he had bought the Tecoltito Canyon before it could legally be sold. 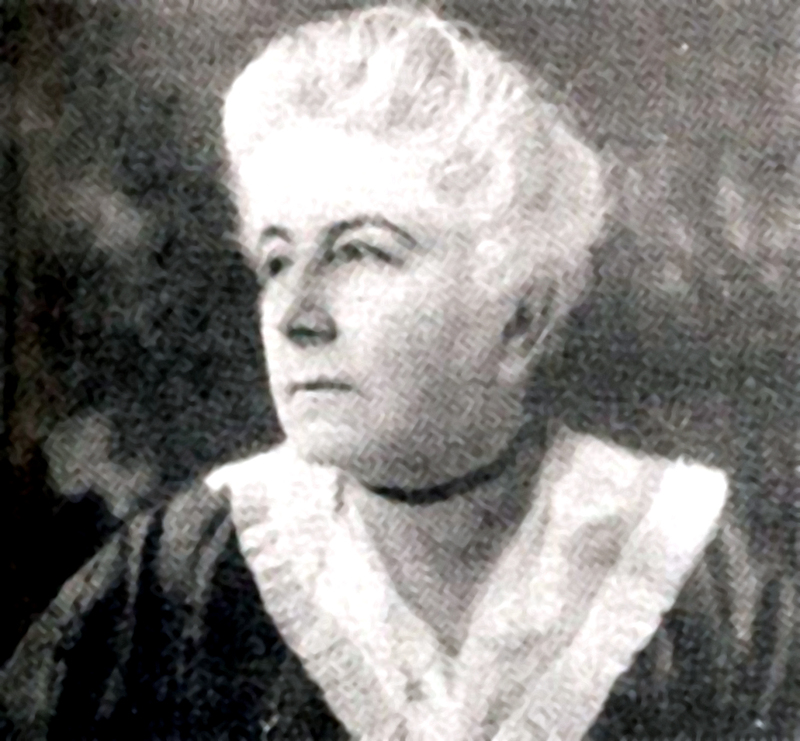 She hired the famous real estate lawyer Thomas Bishop to get her family’s land back. Hollister was outraged, but he knew deep inside she was right, and as the court battle raged on for years and years, his health suffered. Additional bad luck struck W.W. when he accidentally ate strychnine poison that was used to kill gophers on his ranch. 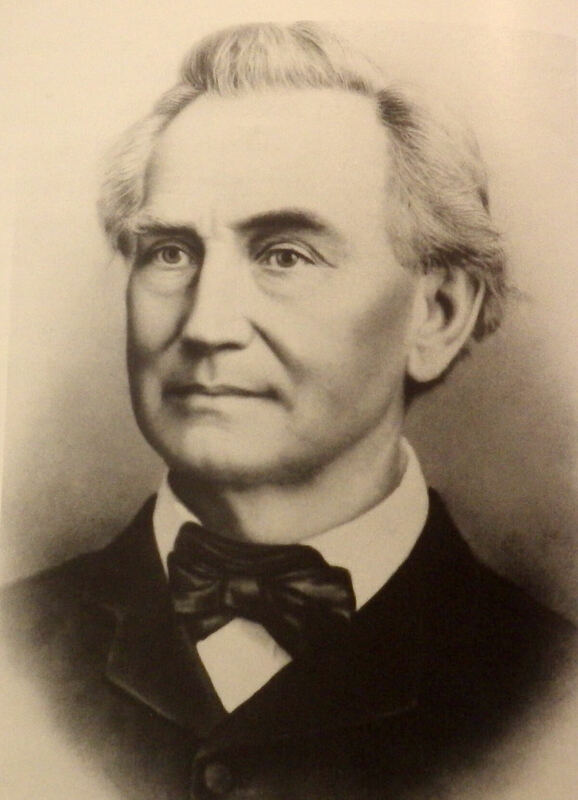 Dr. Winchester saved his life from the poisoning, but in his weakened state, he caught a fatal case of pneumonia. With the stress of the long running lawsuit already taking a heavy toll, the poisoning and pneumonia were the last straw, and he passed away in a private suite in his Ellwood Hotel on August 8th, 1886. Banks and storefronts were closed and draped in black as the whole city mourned the loss of their most important citizen and the Daily News wrote, “Santa Barbara has lost her best friend”. His body was displayed at the Arlington to allow the public to pay their respects, and a line of all walks of life filed by for hours. The Colonel’s funeral procession, led by Jose Lobero’s band, had so many mourners it extended the whole three miles from the hotel to the Santa Barbara Cemetery. Four years after his death, the vicious 14 year court battle finally came to an end, with the Hollister’s losing ownership of their beloved Glenn Annie Ranch. Annie was ordered to move out of her mansion, and within an hour of her departure, a mysterious fire broke out and burned the building to the ground. She had been overheard saying that, “No Den would set foot in her house”, but there was no concrete proof she set the fire intentionally. And so ended the reign of Colonel Hollister and his Glenn Annie Ranch. 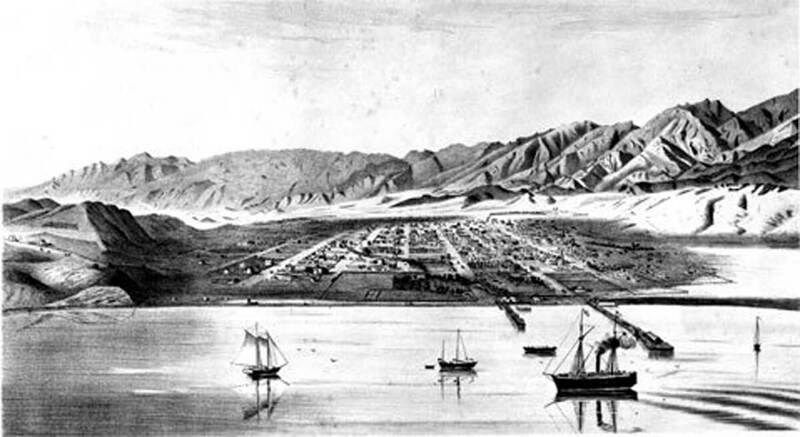 Thanks to Colonel Hollister, Santa Barbara got a daily newspaper, Stearns Wharf, the Gaviota Pier, the Lobero Theater, a public library, the Arlington Hotel and today’s Hollister Ranch. Hollister spurred this area’s transformation from cattle-ranch economy to farm economy. He turned the sleepy little Spanish town into a cultural American city. He brought us Ellwood Cooper, Dr. Winchester and several other dignitaries that helped make Santa Barbara and Goleta the special community it is today. The main county road that he had widened to facilitate tourists traveling to his ranch, was named Hollister Avenue in his honor. That’s the least we could have done…. 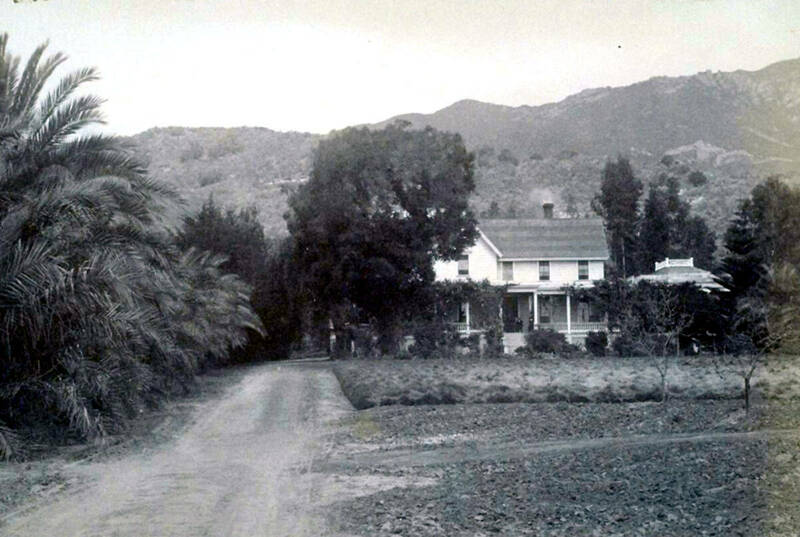 Colonel W.W. Hollister singlehandedly changed Santa Barbara from a sleepy little Spanish town to an American metropolis, all the while savoring the natural wonders of his Glenn Annie Ranch in Tecolotito Canyon, Goleta. As stated earlier, this is just a small part of the story of Colonel Hollister. There are many books written about him available if you’d like to learn more…. were restored and/or declared a historical landmark but it’s privately owned. Be a great place for new generations to know this history. I agree Bonnie, the Bishop Ranch house should be designated a historic landmark. The city of Goleta is taking recommendations for their Historic Ordinance now, so a letter to the council members would be a great idea! I was fortunate enough to be invited to Hollister Ranch beach while we lived in Solvang from 1967 to 1981. Would love to hear about it. Who owns it now? Is it still private? Etc.